If you get a Creative and innovative iOS application developers – they are expert in iPhone and iPad apps development- then you don’t need to look any other option. Imobhub always provides you a team of experience and senior level application developers that have worked with the world's top leading business companies. Imobhub will help you for, design, develop, testing then deploy your iPhone or iPad apps to app store . Give your business a competitive advantage with mobility solutions from –Mobhub. 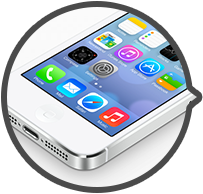 Mobhub provides assortments of iPhone and iPad Apps development services. We have ability to understand about what Apple would be bringing to the world and how an enterprise can leverage the best utilities apple offers to market.We are analyzing the probable of this new platform both for our users and for our clients. Wehave come up with some innovative IOSapps that are equally Apps in different domain. Currently our IOS app developers are little busy working on a few more attractive and useful apps that are as soon as come on appstore. If you have your iPhone app and you want to convert it for iPad, please contact toImobhub, our development team always available for a detailed discussion.We will take care of entire development cycle from idea generation to App store implementation and ongoing support. Incomparable and advanced user experience makes Apple devices widely user accepted. With a mature and secure operating system and with a beyond imagination user experience iPhone and iPad devices captured the market.IMobhub is acreative iPhone app development company in Indore. We have a good experience with the all iOS SDK, Objective C programming, back-end development and iTunes App Store submission.Currently we are working on IOS 8 apps and using “Swift” language. We follow proper coding structure and code comments for transparency & clarity. 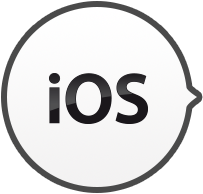 If you have any Iphone app and you want to convert in IOS8 so contact to Imobhub. Our team always available foryou. imobhub is the most preferred company in Indore for Android app development, with many Android apps. We have an expert team of Android app developers build user-friendly apps for all versions that can be integrated across multiple platforms. At IMobhubour Mobile Apps developers and mobility consultants understand all the possibilities that Android OS offers and also are up to date with recent OS upgrades. We offeryou iPad application development services including, design, programming, testing, deployment, app store submission and provide 2 month maintenance. 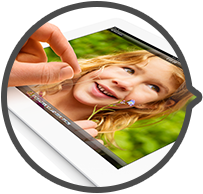 We provide high-quality, and creativeiPadapplication development services.